Walking in Ultras – Soft or essential? Lately I’ve been so used to running hills that I’d all but forgotten that there is the odd occasion of walking. I’d trained in such a manner that running steeper hills (i.e. anything around 10-18% gradient) was commonplace to me. But I figured that if I’m going to be doing some walking in a race, I’d better get the legs re-acquainted with it. With that, I chose a good stretch of hill (around 18% gradient) and proceed to power walk… and boy was it tough. It was almost easier to ‘run’ up than it was to walk, so used had I become to running – the muscle groups used for walking screamed at me as I made my way up – I was almost looking for an excuse to run! Walking is typically seen as the soft option in running races, however in an ultra it’s often the smart option. In a hilly race even the elites walk, the difference between them and the back of the pack runners is the amount of walking and the speed at which they walk. When training for my first Ultra I made the mistake of thinking that I didn’t need to practise walking in training. Surely if I can run then I can walk. This was a big mistake! Walking is a different activity to running and whilst it involves the same muscles, it uses those muscles in a different way and you need to train your muscles to improve your ability to walk fast. Why walk instead of run? When climbing hills, the effort required to run may cause your heart rate to increase up to and over your anaerobic threshold. This will burn through your valuable muscle glycogen stores very quickly which are very difficult to replace during a race. It also increases the lactate levels in your blood which means you will have to slow down for a while to allow the body recover. Normally a race doesn’t finish at the top of the hill. There are no king of the mountain jerseys in an ultra. Having enough energy to run fast for the rest of the race is critical. For this to happen your effort level needs to be as constant as possible throughout the race. This means you will need to walk any hills that cause your heart rate to rise too much. How high can you let your heart rate rise before slowing to a walk? This will depend on your training and how fit you are. The elite will be able to tolerate efforts above the normal race pace for short periods, particularly early in a race. But for most of us we should ensure that our effort level stays constant. When running uphill, as soon as you feel your effort level increase, slow your running down, when you can’t slow any more start walking. Like any skill to improve it you must train it. Find some steep hills to train on. If your race has long hills then longer the better.If it has lots of short inclines then short hills will suit. If you only have access to short hills , you will just have to do more repeats. When I trained for the UTMB the longest hill took 2 minutes to walk up so it meant in a 5 hour session I had to do over 100 repeats! There are a number of techniques that can be used to increase the speed of walking. Some of the elites like Kilian Jornet and Anton Krupicka use both hands to push down on the leading leg as they walk up steep hills. Others use poles, others swing their arms more. Stride length will also make a big difference. It will depend on the incline and your leg length so experiment with shorter and longer strides until you find which one is most effective. The best way to do this is to pick a hill, walk up it and time yourself. Repeat the process focusing on something different each time and see what gives you the best results. For example focus on arm swing then try using your hands to push-off your front leg and see which is quicker. Keep in mind that this may change for a steeper or more gradual incline so experiment on different inclines. Often in ultras people think of walking as a rest break , a time to recharge the batteries ready for the next downhill or flat section. You can lose a lot of time on the uphills if you employ this strategy. Try this to illustrate the point. Find a steep hill that takes at least 3 minutes or more to walk up. 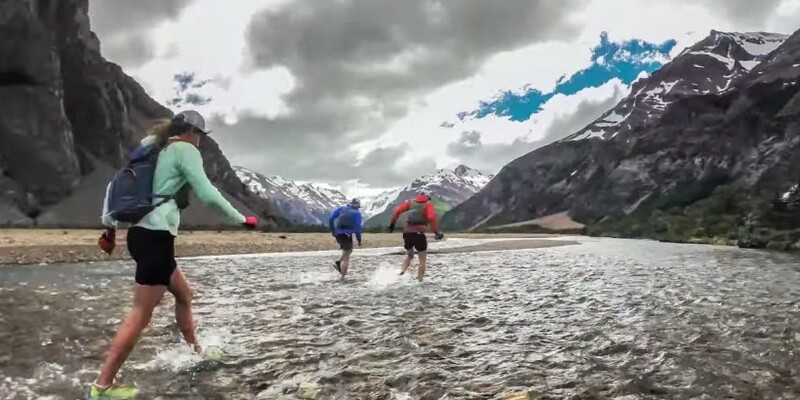 Walk up without focusing on anything; take in the view , think about the rest of the run , what you will have for dinner tonight – anything but on what you are doing. Now run back down and repeat – this time focus on EVERY step, don’t let anything come into your mind except getting the most out of every step . See how much difference in your times there is. Switching off mentally when you walk will slow you down big time. Practice walking in training and staying mentally focussed . Once you have started walking up a hill this doesn’t mean you walk all the way to the top. If the slope levels off a bit and walking is feeling easy then run a bit until the slope rises again. Another strategy is the walk run strategy. Some of the elites use a 1-2 minute walk, 1-2 minute run approach when ascending long climbs. The 1-2 minute walk break is enough to keep their heart rate at an acceptable level. Even if the slope isn’t steep, sometimes the nature of the trail makes it very difficult to run. 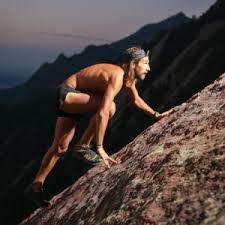 Rocks, tree roots, branches etc can slow even the most technical runner to a walk. What many people do is walk till they reach the end of the section. You can lose valuable time doing this. On trails such as this there are usually some sections you can run. They may only be 10 metres here, 20 metres there but it all adds up. When running these types of trails commit to running anything is runnable. The obvious one is walking on the treadmill. 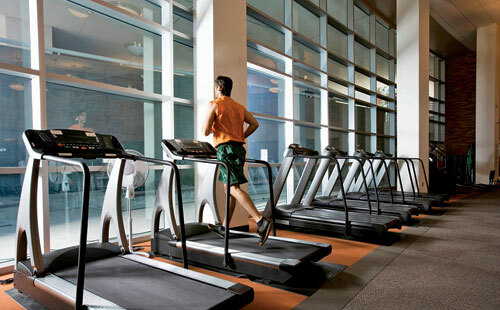 Raise the incline as high as you can on the treadmill and see how long you can walk at above 6km/hr for. When I trained for the UTMB I did 3 hour treadmill sessions on a 15% gradient at 6.5km/hr. Not much fun but if you don’t have access to big hills and the race you are training for has big hills then it’s a great way to get race ready. Exercises such as lunges and step ups are great for developing leg strength to improve your climbing ability. One point to consider is that when walking up a slope your front foot is sloped upwards but when walking up stairs your front foot is flat. So if your race has lots of stairs then step ups or lunges are great, if it has more slopes then do your step ups and lunges onto a sloped surface. A combination of a good weight training program and specific hill walking sessions should have you passing people on the ascents in your next race.